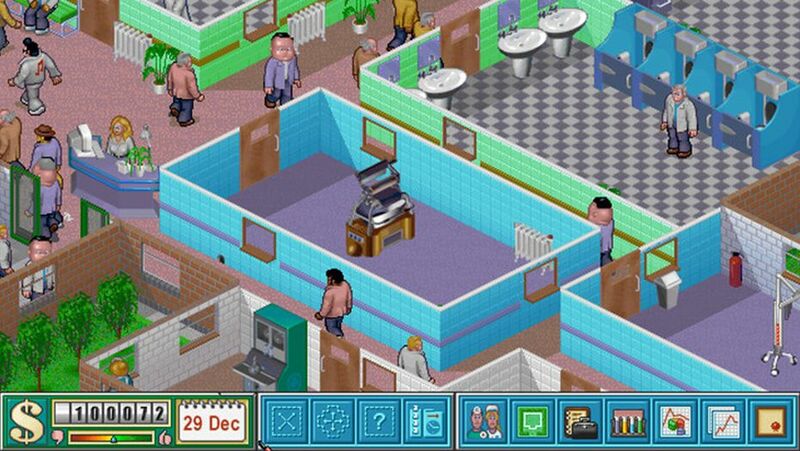 We continue with the soundtrack of Theme Hospital with a track called "6's and 7's". This is another seemingly obscure track name although apparently, the expression "at sixes and sevens" is an idiom used to describe a condition of confusion and disarray. So again, the track might be a joke in reference to how you're managing the hospital in the game: with "Atlantis", you were sinking the hospital's finances, and "6's and 7's" is describing how organised it is, which isn't very by the sound of it. Apparently the origin of the phrase, according to Wikipedia is most probably from the 14th century where two guilds bickered for over a century and a half over which guild should be sixth in order of precedence (a kind of power ranking for the guilds). The Lord Mayor resolved this issue by having the two guilds alternate between sixth and seventh place every year. It's a funky track (thanks to that MIDI slap bass) and has a Latin feel to it at the same time. The track has an ABACA structure with the main "A" passage featuring MIDI slap bass and trumpet until we get to a really sweet synth "B" passage for about 30 seconds at 1:00. At 1:30, we're back to the "A" passage before then progressing to a "C" passage at 2:23 and then back to the "A" passage at 2:53 before the whole track wraps itself up.